Sanjay Gandhi Institute of Dairy Science & Technology is fully Government, non-minority and co-educational college was established in the year 1982. College is affiliated to Rajendra Agricultural University. 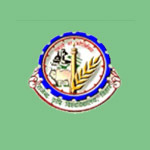 College is recognized by the department of science and technology, government of Bihar. College is approved by ICAR- Indian Council of Agricultural Research, New Delhi, AICTE- All India Council of Technical Education, New Delhi and MHRD- Ministry of Human Resource and Development, New Delhi. Sanjay Gandhi Institute of Dairy Science & Technology is situated on national highway-31 in Patna district of Bihar. Campus is well-connected by air, roads and railway network from all major cities of country. The college offers the admission on 50 seats as the annual intake capacity of the students in both courses. The campus has seminar hall, auditorium, central library, central computer centre, departmental science, engineering and research labs, canteen, cafeteria, hostel for boys, transportation facility and sports ground. The college organizes the national seminar over dairy technology and development. The college organizes the extracurricular activities and co-curricular activities.